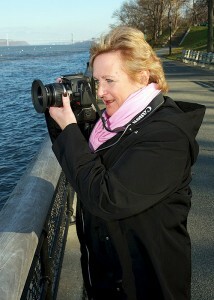 Hello, my name is Theresa Dering and I love photography! It is hard to think of this as a job because I enjoy the process of capturing just the right image for you. I’m happy to be able to picture your dreams, however you see them evolving during our session time together. I like to think of my style as “Free Form”; once we get through some standard poses, the rest of our session is inspired by YOU! Ask yourself, how do YOU see yourself in your dream photo and let’s capture that image together! If given the choice between studio sessions and outdoor sessions, I will choose the “Great Outdoors” whenever possible. With all of the great outdoor spaces in Orange County, NY…the possibility of us finding just the right spot is easy. Sometimes it’s just as close as your own back yard. Hi, my name is Brian Dering. I have spent nearly 20 years working on post processing images and creating graphics for commercial use. I have always been “artistic” and I enjoy applying that aspect of myself to my photography. I believe pictures can sometimes, evoke the same emotions we were feeling when the image was captured. I love being able to capture those moments and preserve them for our clients. Pictures also help us tell “our story” to other people in our lives. Sometimes, “a picture (really) IS worth a thousand words”. 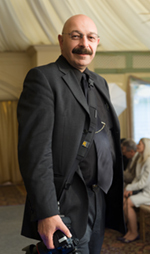 I am a member of a few professional photographer groups. These groups provide continuing education, workshops and events to increase my photography knowledge and to expand my skills. Let us capture the precious moments in your life.